(Helena, Mont.) – Mountain-Pacific Quality Health is pleased to present checks to the student winners of the What Gives You Hope Instagram contest on Monday, January 14, at 11:30 AM at Capital High School. Six Capital and Helena High School students and each school’s Health Occupations Students of America (HOSA) club will receive the awards. In 2017 Mountain-Pacific launched a project that aims to increase the awareness of mental illness and reduce teen suicide in the greater Helena area. Mountain-Pacific received a $50,000 grant from Blue Cross and Blue Shield of Montana for the project. The project established a youth task force that developed messaging and strategies geared to increasing awareness of problems common to this age group, such as the stigma of mental health, stress, relationship issues and bullying. The What Gives You Hope Instagram contest is an awareness campaign that features 193 student-submitted photos of hope. Mountain-Pacific launched the contest to help promote a suicide prevention app called the #LetsTalkApp. Youth can download and use the app to find information about suicide and locations around Helena where they can get help or just talk to someone, called safe spaces. Montana ranks among the highest in the nation for suicide. In fact, Montana’s suicide rate has been at or near the top for nearly four decades. Suicide and attempted suicide seems especially prevalent among high school students. There were 27 youth suicides from January 1, 2014 to March 16, 2017—seven of which occurred in the greater Helena area. The Capital High HOSA club submitted the most photos and will receive a $1,000 award. The Helena High School HOSA club placed second and will receive a $500 award. Individual award winners are listed below. Mountain-Pacific appreciates Blue Cross and Blue Shield of Montana for their funding and support on this important initiative. We’ve just released our 2017 impact statement! See what we are doing to partner within our communities to provide solutions for better health. See PDF version of press release. Helena, Mont., (August 31, 2017) – Mountain-Pacific Quality Health will continue conducting work related to drug use review (DUR), pharmacy case management and the operation of a formulary committee for the State of Montana under a two-year, $2 million plus contract, awarded August 25, 2017. Mountain-Pacific holds state and federal contracts geared to improving health care and the systems that provide it. Mountain-Pacific has offices in Montana, Wyoming, Alaska, Hawaii and Guam. Helena, Mont., (August 16, 2017) Mountain-Pacific Quality Health will lead a one-year project that aims to increase the awareness of mental illness and reduce teen suicide in the greater Helena area. On August 14, 2017, Blue Cross and Blue Shield of Montana presented Mountain-Pacific with a $50,000 grant to help fund the project. Montana ranks among the highest in the nation for suicide. In fact, Montana’s suicide rate has been at or near the top for nearly four decades. Suicide and attempted suicide seem especially prevalent among high school students. There were 27 youth suicides from January 1, 2014 to March 16, 2017—seven of which occurred in the greater Helena area. “At base, the project will involve teens helping teens,” says Mountain-Pacific’s Janet Whitmoyer. “We’ll establish a youth task force and look to its members to develop messaging and strategies geared to increasing awareness of problems common to this age group such as the stigma of mental health, stress, relationship issues and bullying. The goal is to supply teens with an arsenal of tools and resources that will help them cope with the stressors that are often pre-cursors to suicidal behavior. The ultimate goal is to develop an effective, youth-centered campaign that can be adapted and replicated in other communities throughout the state, region and even nationally. Mountain-Pacific engaged a consortium of stakeholders, including the Helena School district, the East Helena School District, Shodair Children’s Hospital and the Montana Hospital Association. (Helena, Mont.) 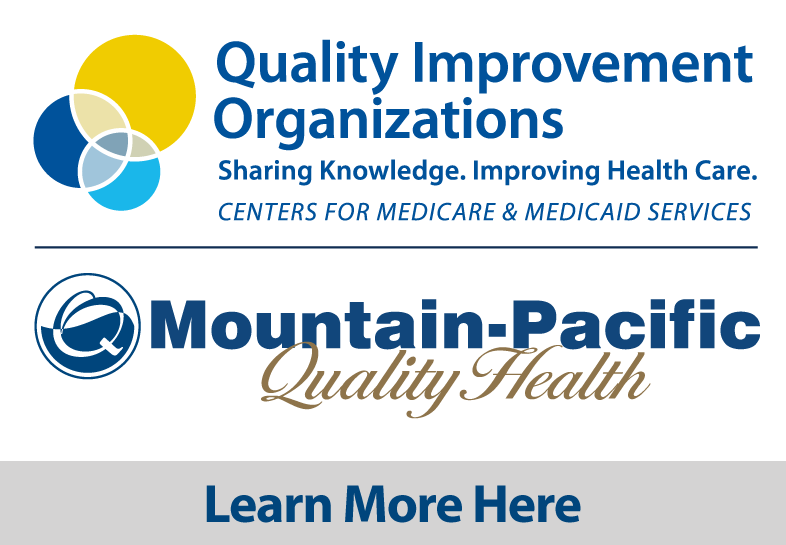 – Mountain-Pacific Quality Health will partner on an initiative that aims to strengthen primary care through payment reform and improving care delivery in Montana and Hawaii. The five-year project, called Comprehensive Primary Care Plus (CPC+), is a nationwide initiative. It provides financial incentives for participating Medicare and Medicaid primary practices to improve health outcomes. Mountain-Pacific will partner with the Lewin Group, a leading health care policy research and management consulting firm. The contract was awarded through a competitive request for proposal process and will be administered by the Centers for Medicare & Medicaid Services (CMS). Mountain-Pacific will work with 55 practices in Montana and more than 100 practices in Hawaii. The initiative is a public-private partnership that spans across 14 states. It will enable primary care practices to deliver the best possible health outcomes for their patients and will pay providers for achieving those results. CPC+ is a multi-payer model that brings together Medicare, state Medicaid agencies and private insurance companies to move the health care system toward a payment model that values quality of care over quantity of services. This new project builds on the Comprehensive Primary Care initiative that launched in late 2012.